Why bother to save the Foothills branch library in Glendale from sale? After all, proponents of the sale say we will still have the 65,000 SF Main library, the Velma Teague branch at 15,000 SF and will have a downsized Foothills branch library at about 9,000 SF located at the Foothills Recreation and Aquatic Center (FRAC). 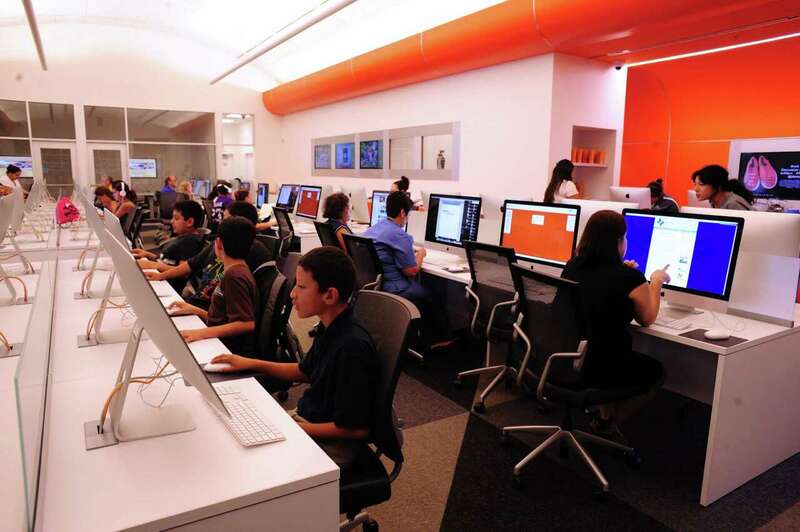 To hear the city’s mouthpiece, the current Library Director Michael Beck tell it, Glendale is advancing technologically by the adoption of a digital library system and that big, old 33,500 SF branch is no longer needed. Really? I beg to differ. I have given a great deal of thought as to why this library or any library, for that matter, is important to our community of Glendale. Its sale devalues our community in so many ways. A little history is in order. Our nation’s public library system was an American invention. Europeans had had libraries for years, hundreds of years before America was born…but they were subscription libraries and not affordable for the general public. The public library system was born in 1833 in Peterborough, New Hampshire. All of its citizens decided that everyone within the town had the right to share, free of charge and regardless of one’s income, all of the community’s stored knowledge. The only stipulations were that the material had to be returned in good condition and on time. It was a radical, new idea that quickly spread. There were 188 public libraries in 11 states by 1880. Every state had public libraries by 1910. Today, across the country there are nearly 20,000 main or branch public libraries. There are more libraries in this country than there is any chain store or eatery, including Starbucks. 70% of all of the people in this country have a library card. A majority of Americans…doesn’t matter whether you are black, white, brown or purple…doesn’t matter if you are young or old…doesn’t matter if you are rich or poor…doesn’t matter if you are educated or a dropout…use the public library system. Public libraries have evolved over the years to meet specific community needs. Gone are the days of the stereotypical, pinch-faced librarian demanding silence. I remember a high school field trip to our local, public library to learn, of all things, the Dewey Decimal System so that we could efficiently find our way through the college stacks as we researched material for the endless papers we had to write. Today’s public libraries are part refuge and part community center. It would surprise you to know that many people who visit a public library don’t borrow a single book. For some it is a quiet sanctuary, warm and dry. You could sit there all day and not be bothered. It wards off the loneliness of life for others. Yet, in a fit of schizophrenia, it is a place of constant activities…you can take a class, participate in a book club discussion, hear a visiting musician or enjoy a lecture. Moms can take their little ones to story time to discover the wonderful, magical world of books. It is a resource to those looking for a job, or needing to use a computer because they can’t afford one or the cost of the internet even if they had a computer. It is a place where a research librarian has helped countless numbers of children to do research for a writing assignment. Its wealth is beyond measure…books, magazines, newspapers, CDs, DVDs, movies. You can use, read and borrow anything within its four walls…for free. Digital media is fine. I use it often, very often but there is something special about a book. The use of digital media is growing and should be encouraged but not as a replacement for the brick and mortar public library but as an enhancement to its offerings. If nothing else will persuade about the importance of Foothills branch library to our community, consider these facts. A Florida study found that for each dollar of taxpayer money spent on libraries, communities received $6.54 in benefits. A Philadelphia study found that a home near a library increases in value by over $9,000. There are all kinds of studies on the ideal size of a library system in a community. It seems to be generally accepted as a standard that a community should have 1 to 1.5 square feet per person. Glendale has a population of 239,000. That equates to a library system of between 239,000 square feet to 358,000 square feet. Glendale has the Main Library at 65,000 SF; Foothills at half that size for 33,500 SF; and Velma Teague at half of Foothills’ size at 15,000 SF. The total square feet of library space currently in Glendale is 113,500 square feet or about half the amount Glendale should have of between 239,000 – 358,000 square feet. If anything, this city council should be making a commitment to increase the amount of library space within our community and it could be done by building the long-awaited and overdue West Branch Library. Even if and when, it adds the West Branch library Glendale will still remain short of the space standard for a community. The idea promoted by some staffers that Glendale residents can use other cities’ library resources it absurd. It is tantamount to declaring that Glendale is a second-rate city unwilling to meet the needs of its residents by providing the services that they consider important to the health and well being of all of Glendale. Society in general and the people of Glendale, in particular, are not ready to abandon our libraries and if truth be told, will never be. Why bother to save Foothills? Because libraries are everything from haven to research center to community center for all. They are an anchor within our community. Libraries will continue to evolve and to adapt to societal and technological changes but they can never be replaced. A lot of information is available digitally these days but remember, a lot of information is still on paper. I doubted the need for warehousing printed books and felt that embracing digital technology and distribution could be a more efficient means of serving the community. But you make excellent points about the uses beyond loans that require actual square footage. Food for thought indeed. Jay, I hope the food tastes good to you! What a great post, Joyce! You make excellent points, and a solid argument for keeping the Foothills Branch right where it is. I live here in Arrowhead Ranch, and the Library is only 2.5 miles from my home. As a partially disabled person I love being able to use the Drive-up window to pick up my materials, when I can’t easily get out of my car and walk into the building. On days when I am able to walk, there are conveniently located Handicapped spaces right up front. Not so with the Velma Teague Branch located in Murphy Park; parking is on the street, and sometimes it’s not easy to find a parking space for those of us who find walking “a challenge”. The Main Library is beautiful and I love the grounds it is built on, but I still have the “walking problem”. And, of course, neither of those branches are as close to my home as the Foothills Branch is. I want to say something else about the elimination of all the books and movies and other materials that are now available at Foothills, but may be “lost” if the downsizing and relocation comes to pass. Not everyone owns a Kindle or a Nook to read their books; some people still prefer the real, bound version. I still want to see small children reading real, bound books, and not using a “techno-gadget” to read their stories. By the same token, not everyone subscribes to Netflix (and other sources like it) to watch movies; many people still use a DVD/Blu-Ray player for their entertainment. While the age of digital technology is upon us, not everyone is as excited about it – or embracing it – as others may be. I am already mourning the loss of our beautiful Foothills Branch Library to Midwestern University, and the sale hasn’t even gone thru’ yet. I hope and pray that at some point the City of Glendale will come to their senses, listen to the people who oppose the sale and relocation (which I understand are many), do the right thing, and reject this offer. Thanks for posting this, Jeanette. Using the Digital Library sounds like a total nightmare to me. I probably wouldn’t use it because I don’t need the frustration – or the headache! IMHO, sometimes “advanced technology” and “new & improved” are anything but. This sounds like one of those times to me. I seriously want to know who is selling this “bill of goods” to the Glendale City Officials, and why are they buying into it? Just one more reason why the sale of the Foothills Branch- and its relocation – is a really, really bad idea. I wouldn’t call GPDL a total nightmare, but it is frustrating and disappointing on a frequent basis. I download audiobooks from GPDL on a regular basis; it usually takes two or three attempts to get the full set of files properly downloaded. Also, as stated in Jeannette S.’ comment above, the selection is on the paltry side by physical library standards. A great resource, but much in need of improvement. Has anyone asked if the new ebooks-first library will have its budget increased to build a digital inventory to old-library levels? As I understand it, the cost to libraries for books’ lending licenses from many publishers can cost much more than buying a printed copy. Like, three or four times the cost, for a limited number of lend-outs. This is a major reason why libraries’ digital collections tend to be small and grow slowly; for the same amount of money, they can provide many more printed titles than electronic titles. Bruce, you are correct about the costs being greater for digital materials. Good question. I download ebooks only (I don’t process audio books well) and I’ve never had a problem with those. But all the other comments apply. I brought up a whole slew of questions about the electronic books catalogue and use at the Monday meeting, but have seen no answers to those questions on the FAC on the website. I too, think they should beef that up to close to comparable to the library itself before they think about reducing the physical book collection significantly. And I expect that some of the books we’re going to be losing (books by authors published more 5 to 10 years ago) will never be available electronically because publishers don’t want to add them. And of course, none of this is of any use to a citizen who can’t afford a e-reader. You have provided one of the best, well written, and absolutely beautifully articulated statements about the value of public libraries that I have ever seen—thank you!!! I certainly hope that Glendale not only keeps Foothills Library, but also builds the West Branch Library as planned and promised. The architectural drawings are complete for the facility. The plans contain all of the needed components for future technology. A library facility in West Glendale has been promised to our residents. Many public meetings were held about a West Branch Library at 83rd and Bethany Home Rd. The residents deserve this! You have always been the chief advocate for a West Branch Library and expanded library services in Glendale—THANK YOU!!! I attended the parks and recreation services meeting on Feb 09 2015. One of the agenda items was taking 9100 square feet away from the recreation center and attempting to cram 33000 square feet of the Foothills library into it. Discounting the fact that the noise level of children happily playing outside the doors, something that should be expected at a recreation center, will be a nuisance at a library. Discounting the fact that the library cost 7.8 million dollars to build in 1997 dollars, prior to the land and housing boom and subsequent bust, how can it now in 2015 be valued at only 4.7 million. Did land value in the Arrowhead community take a harder hit than the rest of Glendale? But let’s for a moment suspend belief at this figure, somewhat like we would do at a Disney cartoon and accept this as the fair market value. 4.7 million dollar valuation, plus $520,000 worth of art equals 5.2 million dollars, not 5 million. Now, let me give you a few facts; Glendale median house value is $160,600 in 2008-2012 and has grown by 35.41% since 2000. The house value growth rate is lower than the state average rate of 45.01% and is lower than the national average rate of 51.67%. So if the library value follows that trend, the value of the building should be $10,561,980. The value of the art collection is $520,000, and the cost to move the library into the FRAC is approx. $900,000. Knowing that almost every contract Glendale has entered into has cost at least double the stated amount it should not then be unreasonable to change that moving cost to 1.8 million dollars. That stated, this sale would be at and for the convenience of Midwestern University, not the city of Glendale and should therefore be financed by Midwestern University and not the city of Glendale, the purchase price should be more correctly set at $12,881,980. And this is not taking into account the subsequent loss of revenue when large areas of the FRAC are removed from recreational use and converted into library use. Midwestern University is a wonderful partner for the city of Glendale, but I think this time they are trying to pull a fast one, this is not a good deal, and it is an even worse idea. Everything we read and hear lately says the city is getting their financial cards in order, is this a time to reduce the services we provide to our citizens even further? I am totally on the side of keeping the Foothills Library for all the reasons stated above. I don’t think the blame should go to Midwestern nor the City employees. As I recall the City Council ASKED the staff to come back with ASSETS that COULD be a potential to sell. I have no clue if a list has been submitted to the Council by the staff or not. Was it ever determined what entity submitted the proposal – the city to MWU or MWU to the city? I never heard. Anyway, I personally think the citizens will prevail from all I have heard and read. If they don’t then the elected officials are not doing their job of listening to their constituents! It’s been three years since council requested a list of all assets and their current valuation. It has never been presented to council. As to who originated the idea, it could have been either the city or MU…we’ll never know because they’ll never tell us. Thank you Joyce, for your very thorough post on libraries! As you have pointed out Glendale is woefully inadequate in offering library services to our residents. While I am not opposed to the model that is being presented, you FIRST must have a well established library system which Glendale does not. You certainly do not “sell a library” and replace it with this model. And, I am vehemently opposed to selling any library. During my time as Library Director, we did an analysis of the value of our libraries to our library users and I know that one of the times we did the analysis it was over $8.00. Additionally we used to have something on the Library’s website so users could calculate how much they saved by using the library for checking out materials, programming, etc. but I don’t think it is available any longer on library website. Investing in libraries is an investment in education and lifelong learning. Libraries are among the most effective and efficient of all public services. When I did research several years ago I found that libraries serve 2/3 of the public with less than 2% of all tax dollars. At that time, I also found that on the average the cost to the taxpayer for the wide range of resources available was $33.56 a year—the cost of one hardback book! Libraries don’t just offer technology, libraries have the fine expertise of librarians helping to teach people how to use the internet and find information they need quickly. We all know about Google, but I can tell you if my child had a rare brain disease, the last thing I want to hear from a neurosurgeon is “I’ll Google it”, or if you retain an attorney to sue a company I surely would not want to see a diploma that says CourtTV “Law Degree’. You get the idea! Anyone can place anything on the internet! We PAY professionals for their knowledge, skills and abilities. I could go on and on, but I won’t! With so much technology being used, and, it will only get worse, citizens sometimes just want to “unplug”, get away from it all and libraries can be those sanctuaries! And, yes, libraries MUST keep up with the technology! It is vitally important that librarians are on the cutting edge. Unfortunately, Glendale is on the bleeding edge. This is a wonderful piece on the value of libraries. May I put a link, and quote a bit, on my own blog? Bruce, you certainly may use a link and quotes on your blog. One more bit. I found a picture from one of the all-digital BiblioTech libraries in San Antonio. The people there are crammed in together nearly elbow-to-elbow at long rows of terminals and keyboards. It looks more like a commercial call-center than anyplace to relax or study. I find it ghastly and horrifying. If that’s the future of libraries… well, I don’t have words. And here’s a link to my most recent blog post, with the quotes from you: “More On Foothills Library”. I also include the BiblioTech photo there. I wish CNN or some public forum had this news so all of this country could put pressure on the shakers and movers on the Glendale City Council.. When did Hockey overtake the gift of Shakespeare:? There surely are more readers paying taxes than hockey fans. Somebody do the numbers. libraries have no seasons, innings, admissions, that you find with sports events.